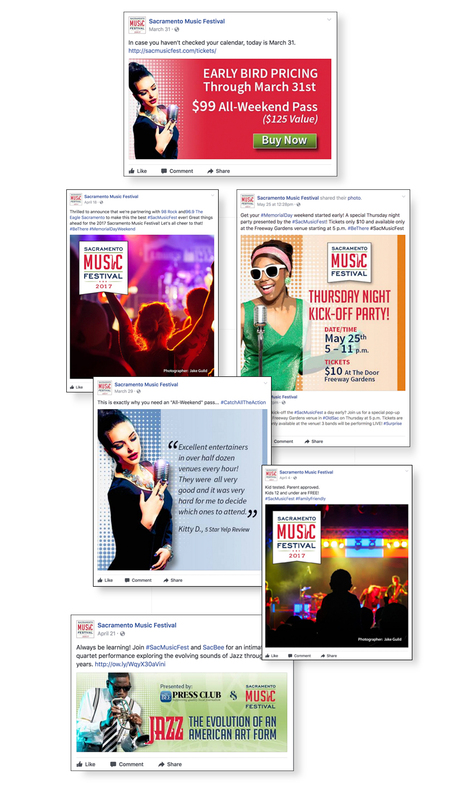 Bouchard Communications was charged with the Marketing Strategy, Public Relations, Social Media, Branding and Graphic Design for the 2016/17 Sacramento Music Festival. The challenge was getting the word out to a wide range of audiences. We chose to use a variety of images that reflected the diverse audience demographics and musical styles that make up the festival. 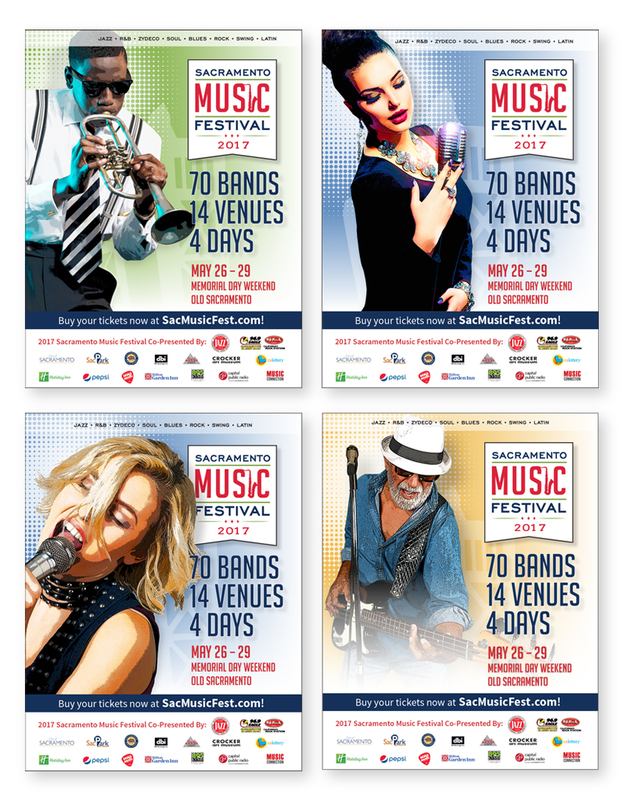 Shown are a few samples of the work we did for the 2017/2016 festivals and include images of: stage banners and signage, print ads, web ads, the program cover, posters, social media art and posts, eblast art and digital billboards.